Cynthia Bailey Ruins Friendship With Porsha Stewart Over Deal With Kordell? Cynthia Bailey has been filming The Real Housewives of Atlanta for quite some time, and she has learned that it is good to keep relationship issues private. Bailey had some trouble with her mother and sister prior to getting married to Peter Thomas, as her family members didn’t want her to get married. They tried to hide the marriage license, but despite their best efforts, Cynthia got married at the end of the day. While filming the show, Cynthia offered her support to Porsha Stewart, who learned that her then-husband had filed for divorce. Porsha struggled to make sense of her failed marriage while filming The Real Housewives of Atlanta, and Kordell Stewart did make appearances on the show to defend himself. Peter Thomas, Cynthia’s husband, stayed friends with Kordell despite the divorce. According to a new Wetpaint Entertainment report, Cynthia Bailey has revealed that Kordell is actually working with Peter Thomas in regards to their new restaurant venture, Sports One. Thomas has been working on his new restaurant venture and he has recruited Kordell to help him market the business. It makes sense, as Kordell is a former NFL player. 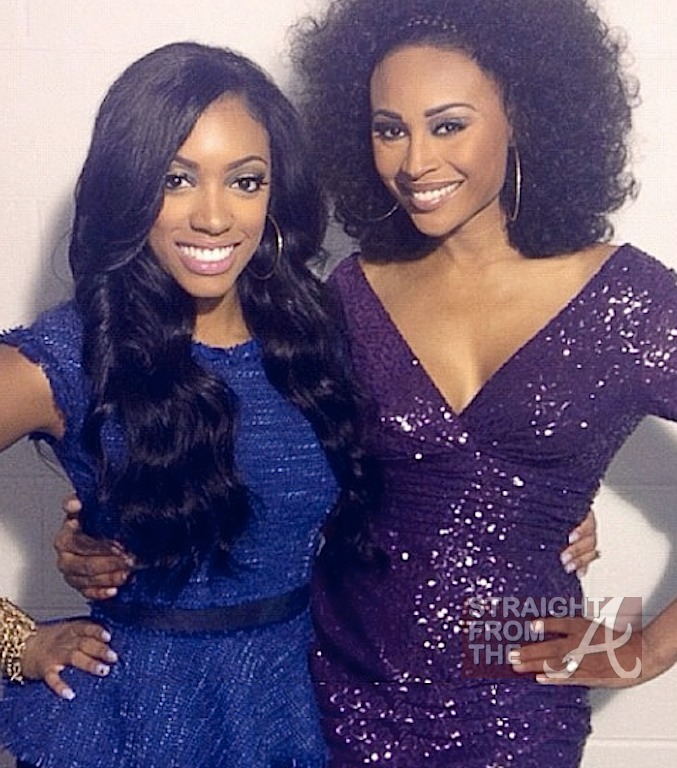 As last season came to an end, there were no issues between Porsha and Cynthia. However, one can imagine that Stewart isn’t thrilled about Kordell hanging out at the new bar. Since many of the Real Housewives of Atlanta events are held at Bailey’s workspace or her husband’s bar, Porsha may not attend as many events for the upcoming season. But Cynthia Bailey doesn’t think this business relationship will get in the way of her friendship with Porsha. “In terms of the drama with the show and everything, that’s the show, that’s drama. Business is never personal,” Bailey said. Since the bar’s opening will be part of the new season, it sounds like Kordell will have a role on the upcoming season. Kordell hasn’t exactly put his ex-wife in a positive light. As he was divorcing his ex-wife, he dished out some information to Cynthia Bailey and Peter Thomas. While he was quick to air his ex-wife’s dirty laundry about her missed tax payments, he wasn’t too quick to admit to his own. According to The Inquisitr, he has his own issues with the IRS. Stewart has not said anything about her friend partnering up with her ex-husband, but hopefully Cynthia Bailey told Porsha before going public with the news. Of course, this isn’t the first time that Porsha has been involved with her co-stars’ business ventures. She worked with Kandi Burruss on her play, A Mother’s Love, but she won’t be going with Kandi around the country for the national tour. Do you think Porsha is questioning her friendship with Cynthia Bailey after learning of this news?